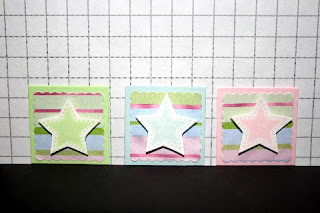 I just came across a picture of my color inchies that I made for a monthly inchie swap that I am in. I made 3 sets of 10 for this group. We had to use the colors "baby pink", "baby blue" and bright green. The colors look washed out because of the flash.